Transform your ordinary bathing experience into a luxurious, peaceful retreat. 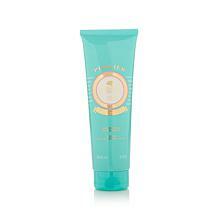 Fragranced and enriched with honey, this moisturizing shower cream is oh-so-pleasant to use. Ingredients: Aqua (Water), Sodium Laureth Sulfate, Cocamidopropyl Betaine, Mel (Honey), Lauryl Glucoside, Parfum (Fragrance), Sodium Rice Amphoacetate, Sodium Chloride, Polyquaternium-7, Citric Acid, Caramel, 2-Bromo-2nitropropane-1,3-Diol, Tetrasodium EDTA, Coco-Glucoside, Styrene/Acrylates Copolymer, CI 19140 (Yellow 5), CI 15985 (Yellow 6). 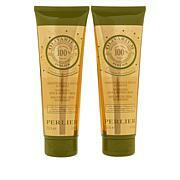 I have been using the Perlier Honey products since the 1970s. 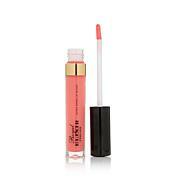 I bought it for myself the very time I visited an upscale retailer in Los Angeles in college. I have loved it ever since. I might "dabble" in the other scents, but I always return to Honey anything. It will always be my delicious favorite. Today I ordered TS in the Imperial and the Honey hand cream minis. I pretty much intend to keep them for me even though they are lovely gifts. I love you Skip and Amanda! Feel so smooth. Love the slight scent it leaves on your skin. 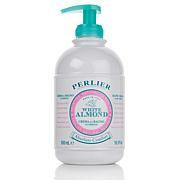 I just love this product and all products from perlier...keep up the good work..makes your skin feel soft.. I LOVE IT! I WANT A 3 LTR BOTTLE...WASN'T THERE ONE BEFORE? 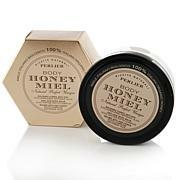 Love all their products but honey is my favorite. Carried with me on a trip and made my accommodations smell like home! And really pleasant on the skin and hair. Have shampooed with it when I had to and liked the way my hair felt and smelled. With all the talk about our skin absorbing chemicals I really feel safe with this product.